If you have atrial fibrillation, the right treatment might be a three-prong approach that sounds counter-intuitive —allow the atrial fibrillation to persist, aim therapy at keeping your heart rate from becoming too fast (in order to control your symptoms) and take steps to reduce your risk of stroke. This is called the rate-control method. Intuitively, another method, the rhythm-control approach, which is aimed at restoring and maintaining a normal heart rhythm, sounds much better. Read an overview of the treatment of atrial fibrillation. But in most people who have chronic or persistent atrial fibrillation (that is, they have been in atrial fibrillation all or most of the time for many weeks or months), results tend to be much better with the rate-control approach. To a large extent, this is because rhythm control tends to be rigorous, inconvenient, ineffective and entails a relatively high risk of side effects. Also, most people who are treated with rate control do quite well; clinical studies show that their outcomes are at least as good, if not better, than for those in whom rhythm control is attempted. Read about how to decide on the right treatment approach for atrial fibrillation. The rate-control approach to atrial fibrillation has two goals - to control the heart rate and prevent blood clots and stroke. In most people who have atrial fibrillation, symptoms are directly caused by the rapid heart rate that usually accompanies this arrhythmia. In fact, as long as the heart rate is controlled, most people with atrial fibrillation can lead essentially normal lives, despite the persistence of their arrhythmia. Generally, control of the heart rate can be achieved by giving beta blocking drugs, often along with calcium channel blockers. In addition, digoxin is often useful in slowing the heart rate in atrial fibrillation. All three of these drugs work by slowing the conduction of the electrical impulse through the AV node, which reduces the number of impulses that reach the ventricles - thus reducing the heart rate. In the large majority of people with atrial fibrillation, the heart rate can be adequately controlled with some combination of these drugs. In some cases, however, the heart rate remains rapid enough to cause persistent symptoms despite therapy. In these instances, the heart rate can be readily controlled by a special ablation procedure aimed at damaging the AV node. In this procedure, a special catheter ablates the node by cauterizing or freezing it. Ablating the AV node prevents the atrial fibrillation impulses from reaching the ventricles, so the heart rate becomes very slow. In fact, AV node ablation usually results in heart block, which often leads to a heart rate that is too slow. So AV node ablation always requires the insertion of a permanent pacemaker. Because modern pacemakers can change the rate at which they pace, depending on the patient's activity level, the AV node ablation-plus-pacemaker option gives the person with atrial fibrillation heart rates - both at rest and during exercise - that simulate the heart rates of people with normal heart rhythms. While AV nodal ablation may seem a somewhat drastic approach to controlling the heart rate, it almost always results in a remarkable improvement in symptoms for patients with persistent atrial fibrillation and in whom other measures have failed. Treatment to prevent blood clots from forming in the atria is a critical step in anyone who has atrial fibrillation. Most people with atrial fibrillation should be on therapy with an anti-coagulation drug (drugs that "thin" the blood to prevent blood clots) to prevent strokes. Until very recently Coumadin was the only good option available, but using Coumadin safely and effectively can be a difficult thing to accomplish. Fortunately, newer and easier-to-use options for effective anti-coagulation in atrial fibrillation have recently become available. Read more about stroke prevention with atrial fibrillation. 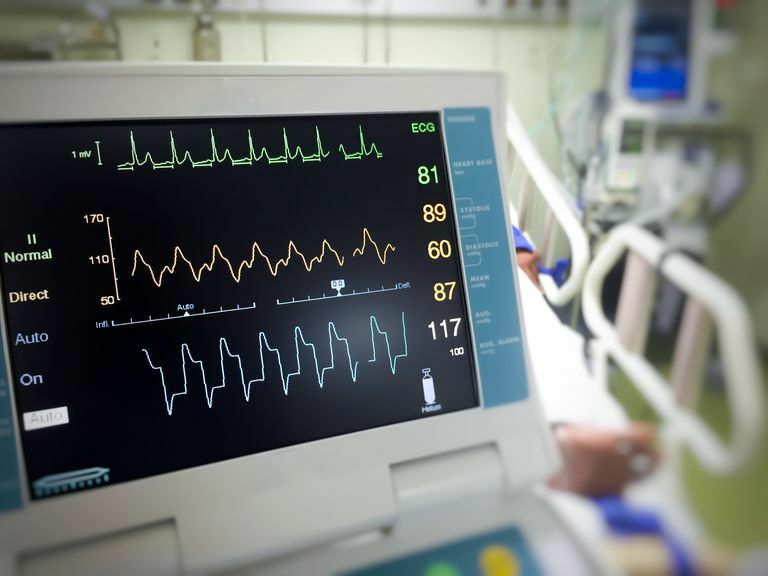 While it may not be intuitive, the rate-control approach to treating atrial fibrillation is usually quite effective at controlling symptoms and greatly reduces the risk of stroke. Until better methods are developed for getting rid of atrial fibrillation and restoring a normal heart rhythm, the rate-control approach is the better choice for a majority of people who have this arrhythmia.